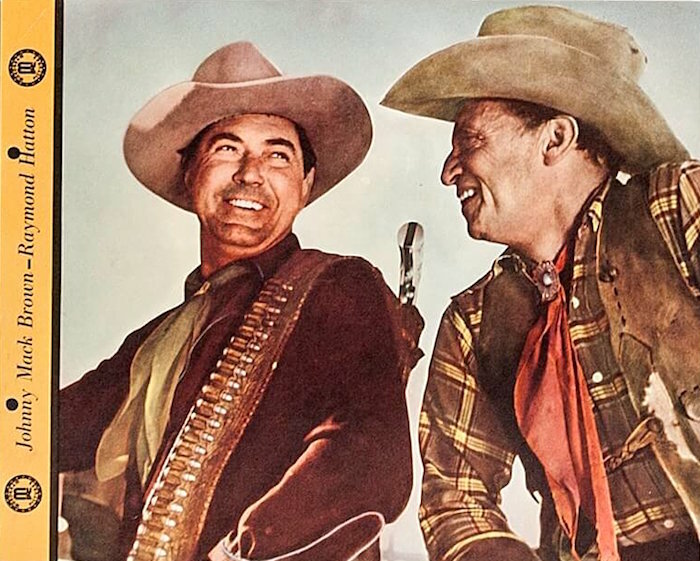 Johnny Mack Brown | 50 Westerns From The 50s. 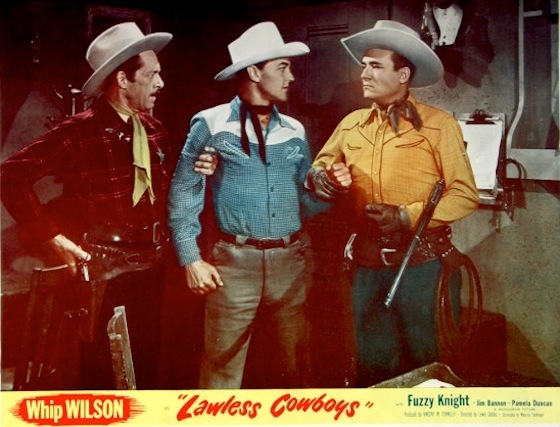 The Allied Artists Blogathon: Short Grass (1950) By Guest Blogger Jerry Entract. I am delighted to be able to take part in The Allied Artists Pictures Blogathon and would like to thank our host, Toby, for making it possible. Having come together around 1932, Monogram Pictures was a main player on Poverty Row in Hollywood and was known by fans for providing thrills and excitement although their product never matched their rivals over at Republic for slickness and overall quality. They sure tried though! As WW2 ended they formed Allied Artists Pictures with the intent of producing bigger-budgeted pictures alongside their ‘bread-and-butter’ product. As the industry changed Monogram was phased out finally in 1953 and everything went out under AA. Scott R. Dunlap had worked at Monogram for a number of years and had been a producer and close friend to cowboy star Buck Jones and had nearly died with Jones in 1942 in the Coconut Grove fire. 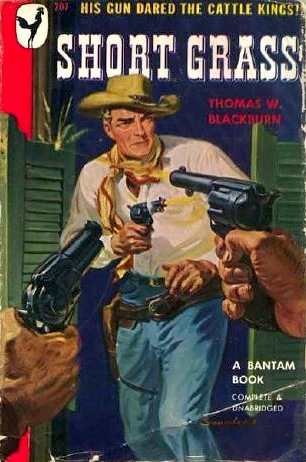 His heart was in westerns and by the end of the decade he was involved in some with a higher budget and aspirations. 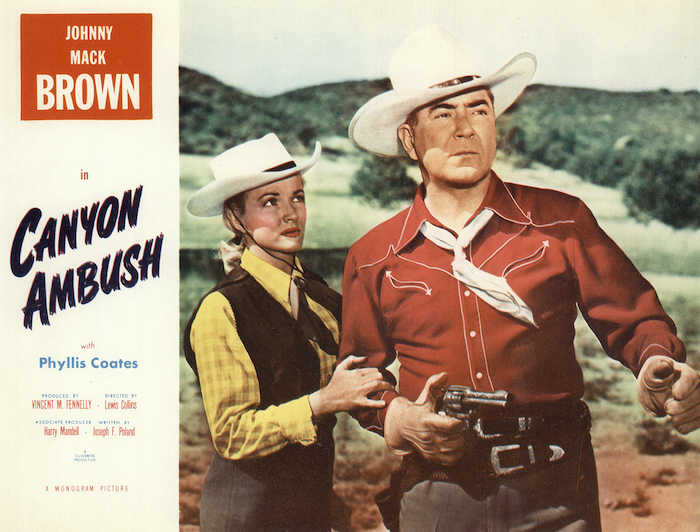 In 1950, he produced a classy range Western called Short Grass. As a Western fan of long-standing and diehard nature, some of my all-time favorite Westerns came from either the Republic banner or Allied Artists. 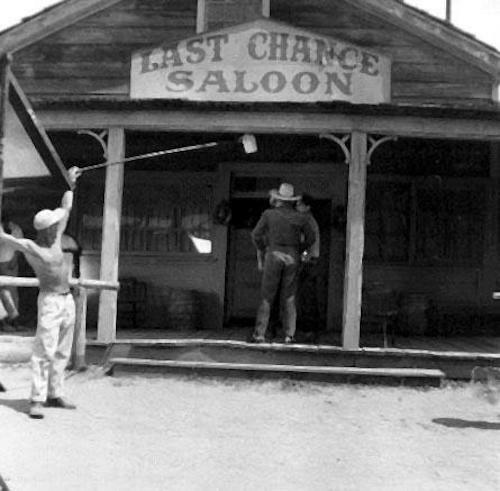 An actor who made his name in Westerns was Rod Cameron. 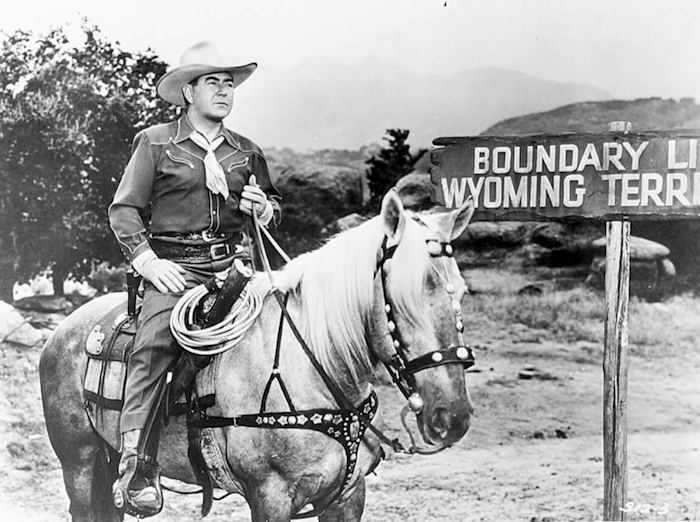 Over a period of nearly a decade, Rod alternated between the two studios in some mighty fine Westerns. Three or four of those are in my list of all-time favorites — Brimstone (1949) and Ride The Man Down (1952) for Republic and Stampede (1949) and Short Grass (1950) for AA come most to mind. Short Grass comes with some impressive western credentials. Apart from Cameron, it was directed by the unsung (though not here) Lesley Selander from a screenplay by Tom W. Blackburn, adapted from his own novel. 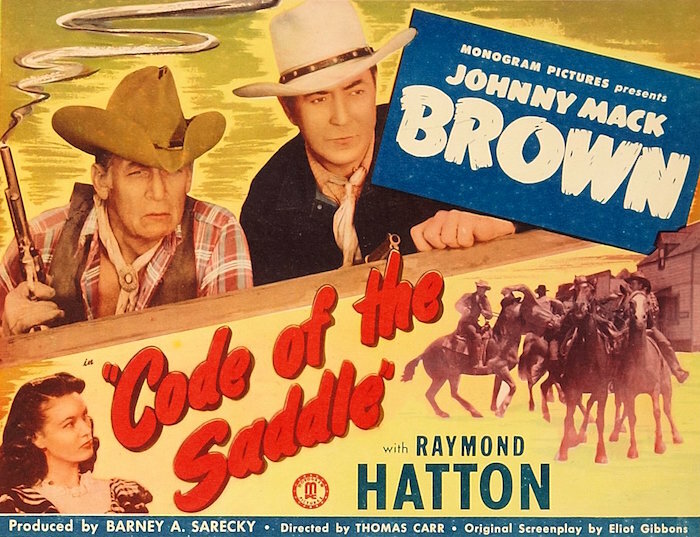 Starring alongside Rod was cowboy star Johnny Mack Brown whose own starring series was still filming at Monogram. 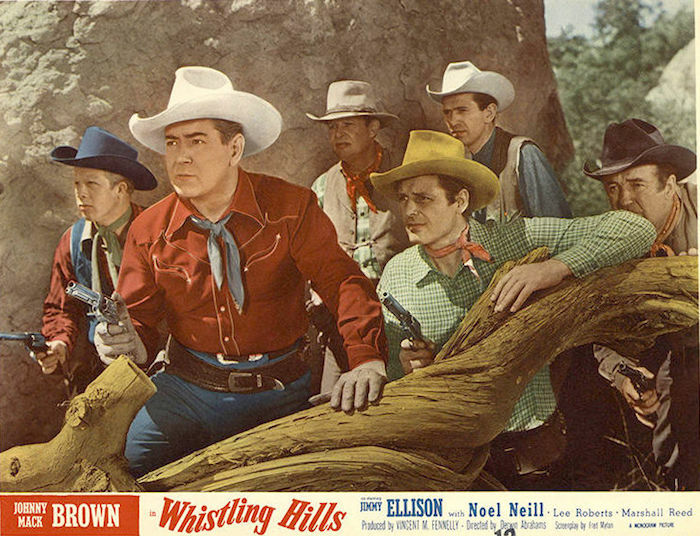 The cast was a ‘deep’ Western one — Harry Woods, Jack Ingram, Myron Healey and many more. Of particular note in the cast was Cathy Downs as the female lead. Her character was feminine, flesh-and-blood and believable. Blackburn’s story is set at a time when the west was on the cusp of becoming more civilised and people were moving west to seek a new life but wanting schools, churches, newspapers and, of course, law and order. From the start when Steve Llewellyn (Cameron) drifts into the middle of a saloon robbery and gets shot, then is found and nursed back to health by Sharon (Downs), a rancher’s daughter, he finds himself slap-dab in the middle of a land grab. Sharon is horrified by the brutality of the West and abhors the use of guns. Unable to avoid gunplay with the landgrabbers, Steve rides away, knowing that he cannot be with Sharon though they are in love. Five years later, he returns to New Mexico and finds a town starting to embrace civilisation but unable to free itself from the land grabbers who more or less control things. In the meantime, Sharon had married a newspaperman who unfortunately is weak and unable to control his need for booze. 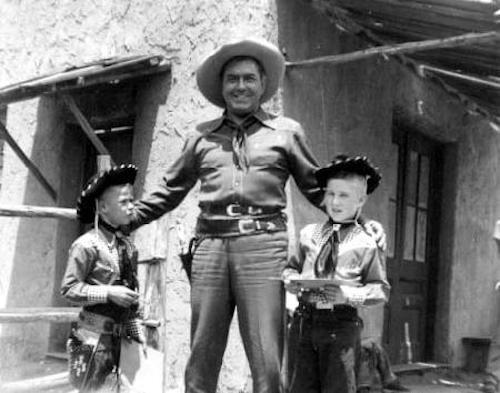 To cut the story short, Rod eventually is forced to strap his guns back on, this time with Sharon’s support and that of Marshal Mack Brown to face down the gang. At the end he removes his guns “for good” — you know the way will now be clear for the kind of civilization that has been hovering. Short Grass is happily readily available on DVD in a beautiful print thanks to our friends at Warner Archive. The lovely cinematography of Harry Neumann stands out with some beautiful cloud formations above stunning New Mexico locations near Albuquerque. As Rod Cameron muses early in the film, the attraction to him of the wildness of the country is its space and beauty — and Neumann’s lens work makes sure the point is made! 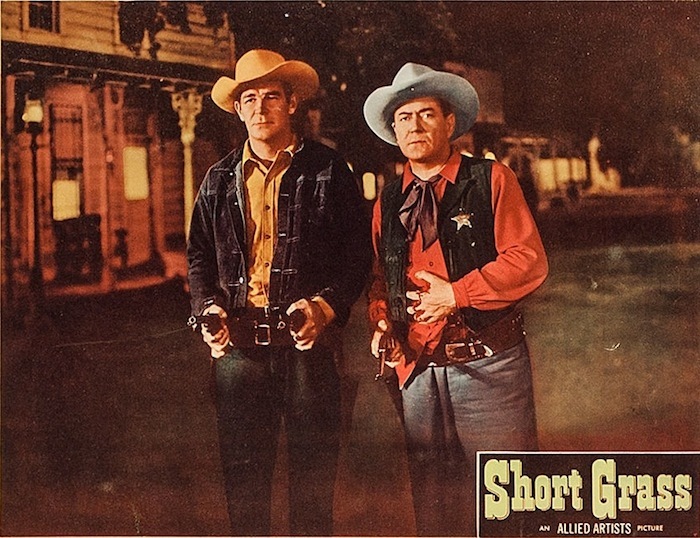 50s Westerns DVD News #123: Short Grass (1950). 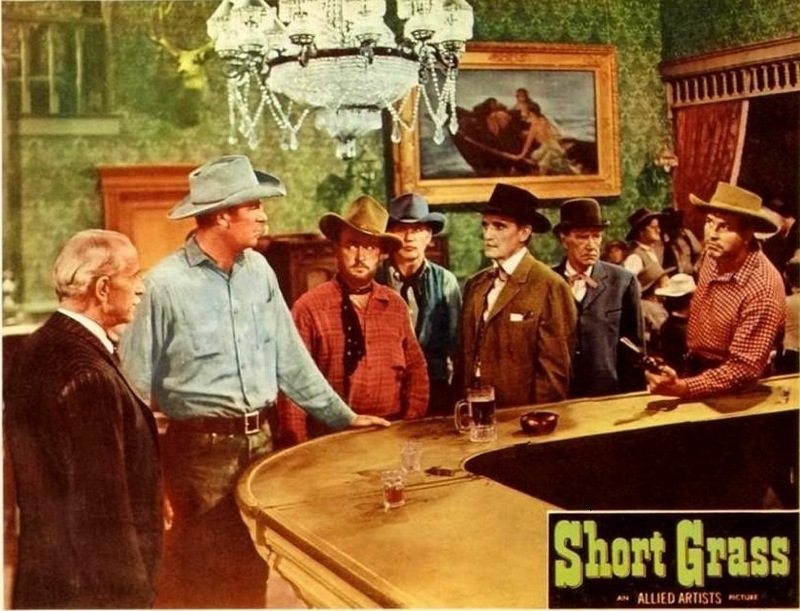 Warner Archive has announced another group of Westerns, with only one from the 50s: Short Grass (1950). Directed by Lesley Selander, it boasts quite a cast: Rod Cameron, Cathy Downs, Johnny Mack Brown, Alan Hale Jr. and Morris Ankrum. Based on the novel by Thomas W. Blackburn, who also wrote the screenplay, Short Grass is quite ambitious for an Allied Artists picture from the period. 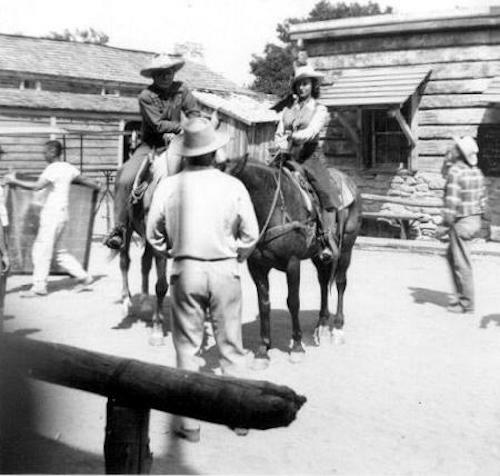 The cowboys here are cowboys, not gunfighters — which really distinguishes what could’ve been just another series Western range war tale. This is a good one. Another tip from John Knight.